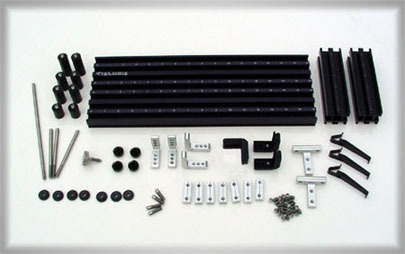 > FixLogix T-slot fixture plates and components provide infinite adjustability for easier and faster fixture builds. 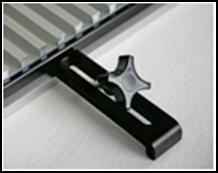 Combined with our t-slot vertical risers and cross-slides the system provides infinite adjustability in multiple axis. 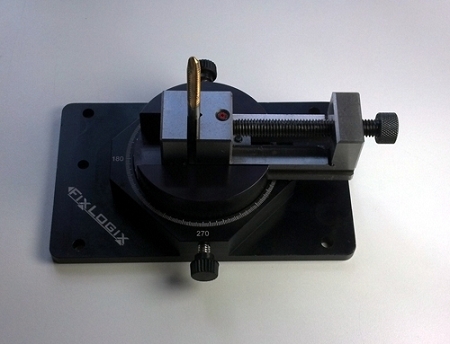 > Laser engraved reference scales and alpha identified t-slots facilitate repeat setups. 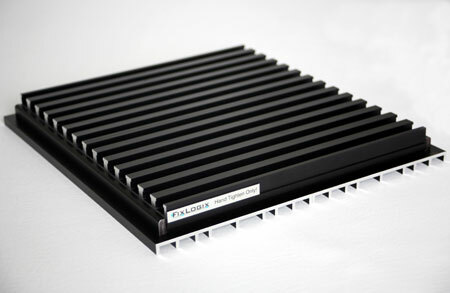 > FixLogix fabrication technology allows us to build fixture plates at a huge savings over traditional fixture tooling plates with the old grid of threaded holes. 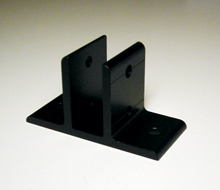 > Our patent-pending "Light-Touch" clamps have a new "pre-wedged" feature that is superior to other obsolete clamp styles. 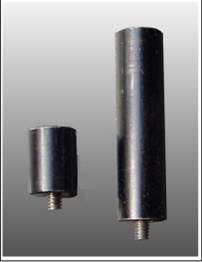 Just slide down and gently touch the part surface... the clamp is already wedged by the spring on the back. 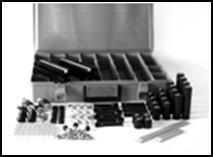 FixLogix CMM standard component kits contain a wide array of components (standoffs, locators, fasteners, risers, clamps and rods) to facilitate easy CMM fixture contruction. 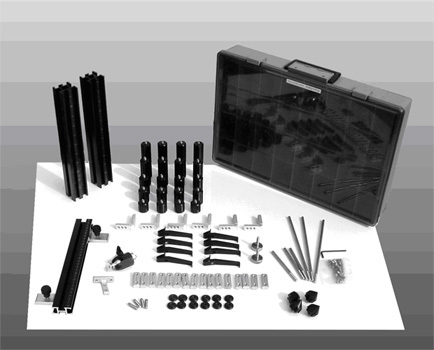 The logic of the kit features "multi-tasking" components that can be combined into many useful configurations. 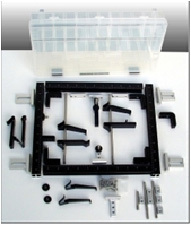 FixLogix CMM fixture kits include components like vertical towers and swivel heads that are optional in other systems. 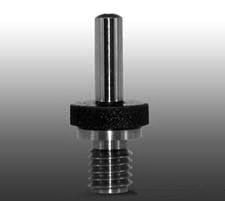 Quality materials like stainless steel and anodized aluminum are predominant for long corrosion-free and wear-resistant product life.